Lee Weppler began curling in his home town of Morse, Saskatchewan at the age of eight. This started a curling career that would span 50 years. 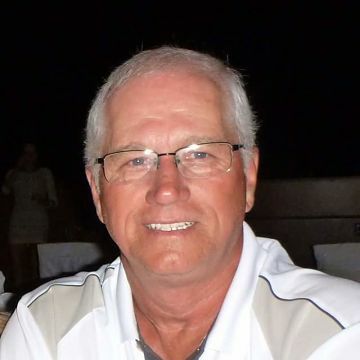 Lee and his team would become a very successful regular on the Saskatchewan Bonspiel circuit curling in all of the major bonspiels throughout the province. Teaming up with Larry Shaw at third, Merv Toews at second and Rick Herschel playing third they would also become regulars at the Southern Men’s Playdowns as well. From 1980 until 2000 Lee skipped his team to the Southern Playdowns. In 1987 and 1988 they would also make appearances at the Provincial Playdowns. The highlight of that run would be in 1988 when they lost the Provincial Final to Eugene Hritzuk in Humboldt. In 1986 Lee skipped a Mixed team with his wife Sharon playing Lead and Linda and Merv Toews playing Third and Second. They were undefeated at the Region Playdowns and also went undefeated at the Provincial Championship. They went on to represent Saskatchewan at the Canadian Mixed Championship that was held in Kamloops, British Columbia. Once Lee was old enough to curl at the Senior level he continued to enter playdowns. He qualified for the Southern Playdowns in 2000 and 2001, and qualified for the Provincial Senior Championship in 2000. Lee Weppler also served on the Board of Directors of the Morse Curling Club for many years, serving as Secretary Treasurer. One of the highlights of his Club involvement was being a major part of building a new curling rink in 1980. Although Lee has not curled since 2007 he continues to be a big fan of the sport. Congratulations Lee, on your outstanding accomplishments as a curler!